Japanese Jin-Fluid for perfect Jin- and Shari-styling of your tree. It bleaches the bonsai's branches. You may either decide to immerse your bonsai upside-down into the solution or to spray it with it. If you opt for the first option, be careful not to let the solution reaches the soil. The wood hardener reinforces, hardens, and seals dead wood fibers in bonsai, stopping the decay and protecting against pests. It dries quickly, it's transparent and colorless. 4,0 mm - 2,2 m approx. 5,0 mm - 1,5 m approx. You will receive a 500 gram roll of aluminium bonsai wire. You will receive a 1 Kg roll. If you buy 3 or more rolls (also different thicknesses), you get 15 % off! The length of the wire depends on the thickness. A 1 mm thick wire is approx. 470 m long, a 2.5 mm thick is 75 m long. You will receive a 500 g roll. Lenghths of the wire depends on its diameter. You will receive a 500 kg roll. This special professional wire is made of copper. It is easier to bend than the aluminium wire and becomes harder when bent. 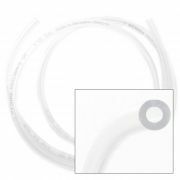 Therefore, thicknesses lower than for aluminium wire are sufficient. Multiple bending makes the wire to a certain extent harder and harder. You will receive a 100 g roll. Please choose product...[2347-08] Copper-Wire (0,8 mm, 500g) - 17,80 EUR[2347-13] Copper-Wire (1,3 mm, 500g) - 17,80 EUR[2347-15] Copper-Wire (1,5 mm, 500g) - 17,80 EUR - SOLD OUT ! [2347-20] Copper-Wire (2 mm, 500g) - 17,80 EUR - SOLD OUT ! [2347-25] Copper-Wire (2,5 mm, 500g) - 17,80 EUR - SOLD OUT ! [2347-30] Copper-Wire (3 mm, 500g) - 17,80 EUR - SOLD OUT ! [2347-35] Copper-Wire (3,5 mm, 500g) - 17,80 EUR - SOLD OUT ! [2347-40] Copper-Wire (4 mm, 500g) - 17,80 EUR - SOLD OUT ! You will receive a 50 g roll for each of the three wire thicknesses. Artificial bark for closing wounds and pruning cuts. It hardens after application, making it particularly suitable for wounds in the root area. An application on the trunk/branches is only partially recommended, as the product does not remain elastic and eventually breaks and falls off due to the growth of the tree. Artificial bark for sealing wounds and pruning cuts. Japanese product, ready to use. Does not harden after application but retains its soft consistency and allows the bark to close over the wound. 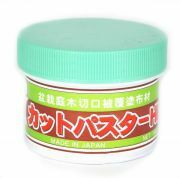 Japanese wound sealant especially for sealing cuts in the root area. Care paste is applied and closes the wounds permanently after a short drying time (approx. 10 minutes). 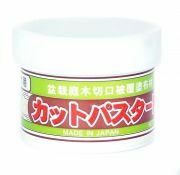 Japanese care paste for apple and flower bonsai. For the treatment of wounds and pruning cuts. With fungicide. For the secure sealing of pruning cuts in order to effectively protect them from diseases. Wound paste for conifers (green lid). This product protects the pruning cuts of your bonsai from infections and diseases. Does not harden after application but retains its soft consistency and allows the bark to close over the wound. This product must be applied diluted with water. Consistency: Liquid, in tube, for easier application. With the fertilizer bags, your fertilizer will not only be dosed exactly, but also be placed precisely without being washed away by watering or carried away by birds. Mixing of different fertilizers possible. Easy to use. Bast or the wrapping band is an important accessory for bending work. It is used for padding the branches and protecting the cambium from pressure points caused by wire used for shaping. One package contains approx. 1 kg. One package contains approx. 50 g.
The jute band is an important accessory for bending work. It is used for padding the branches and protecting the cambium from pressure points caused by wire used for shaping. The bands protect the cambium but above all they are designed to prevent the branches from breaking when bent. They are tightly wrapped around the branches. 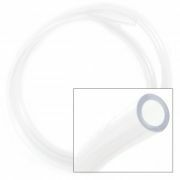 With this transparent protective tube you can envelope your bonsai wire and avoid damage to branches and bark. With the help of cable ties, even strong branches can be easily pulled down or pulled together. Elaborate constructions with wire are therefore not necessary. In addition, the cable ties can be readjusted easily and the larger contact surface causes less damage to the bark. Special two-component adhesive to glue the individual parts of stone lanterns together. Used to make roots become strong in length in order to pull the roots over a stone. Made in Japan. Soil sieve made of stainless steel, with 3 different sieve inserts. Please choose product... Sieve - 21 cm - 13,- EUR Sieve - 30 cm - 19,- EUR - SOLD OUT ! 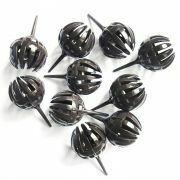 Sieve - 37 cm - 28,- EUR - SOLD OUT ! For filling cavities while repotting. The rust eraser is used to remove rust and dirt from scissors and other tools. The material, which is mixed with fine abrasives, is elastic and therefore extremely easy to handle. We recommend Ballistol Oil for post-treatment. Grinding stone made in Japan, to sharpen your Bonsai tool. 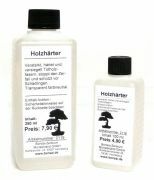 Effective cleaner for burnt-in resin residues, extremely economical and easy to use. For saw blades, planers, chisels and other resinous tools. Without enzymes, bleach and hydrogen peroxide. Kurobara camellia oil is used with its recipe unchanged for centuries to protect Japanese swords, knives and scissors from rust. Before exhibitions it is used to treat the bark of juniper trees. Due to its low fat content, camellia oil is also ideal for skin care. It is acid-free, odourless and non-toxic. Ballistol oil for tool care. After use, the scissors and tools used should be cleaned and sharpened if necessary. 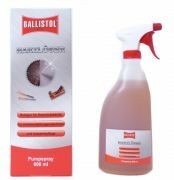 Then apply Ballistol to protect the tools from rust and preserve the blades. Especially the high-quality Masakuni tools should be treated in this way. Caring your tools is an essential point for long lasting fun with your bonsai tools. This oil is useful to clean and protect your tools against rust. Bonsai nets for covering drainage holes. 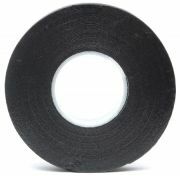 For covering the holes in bonsai pots. These nets lay over the holes to prevent the soil from beeing washed out while watering. The plastic nets are to be laid over the holes in the pots so that, on the one hand, the soil mixture is kept in the pot but, on the other hand, the water can drain off so that the fine roots are not too wet for too long. The plastic net is to be laid over the holes in the pots so that, on the one hand, the soil mixture is kept in the pot but, on the other hand, the water can drain off so that the fine roots are not too wet for too long. 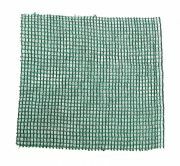 Bonsai net for covering drainage holes, very stable, cut to fit (27 x 35.5 cm). These plastic nets are to be laid over the holes in the pots so that, on the one hand, the soil mixture is kept in the pot but, on the other hand, the water can drain off so that the fine roots are not too wet for too long. These plastic labels can be inserted into the soil to mark bonsai. Simply inscribe with a waterproof pen. These fertiliser holders are provided with a foot to be inserted into the soil. This prevents the fertilizer from coming in direct contact with the soil. Natural moss growth is protected against burning, the fertilizer cannot be washed off the pot when watering or removed from birds. The new way of air layering: the ingenious micro-eco system of Marcot Pot accelerates the root growth of your layered plants by two to three months. The easy usage makes air layering a pleasure! Please choose product... RooterPot small, 1 pc. - 4,80 EUR RooterPot big, 1 pc. - 5,80 EUR - SOLD OUT ! RooterPot small, 3 pc. - 9,80 EUR Rooterpot BIG, 3 pc. - 11,80 EUR - SOLD OUT ! 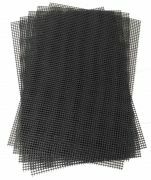 Shading net made of polyethylene. Suitable for covering, privacy or hail protection and also as wind protection, green, insensitive to weathering, resistant to rotting, water and acid, UV-stabilized, can be used for many years. Very easy to cut into the desired shape / size with scissors. Performs the same function as the covering nets. With this professional measuring instrument, you can quickly and reliably measure the salt concentration of your irrigation water. This is especially important in the use of wells, river and tap water. The device is waterproof and extremely handy. It shows in addition to the temperature. The probe of the pH instruments must never completely dry out. We therefore recommend that you always keep the storage container filled to approx. 50%. Ideal tool for drilling holes for pH probes. This protects the glass probes of the measuring instruments from overstressing. In addition, it may be used for plant propagation or sowing. Wiring is an indispensable technique of bonsai design, but often unsightly traces of wiring remain afterwards, especially if the wire is not removed in time. Now there is a remedy: MAGIC-E! MAGIC-E is quick to apply, easy to remove and reusable. The Masakuni rust eraser is used to remove rust and dirt from scissors and other tools. We recommend Ballistol oil for treatment afterwards. Use dry or with oil. Never use with water! This special ladder to trim bonsai from Japan is characterized by a number of innovative details. It is extremely light (from 6.9 kg), made of aluminum, and bears up to 100 kg. Please choose product...[Leiter210] Ladder (Japan) - 210 cm - 550,- EUR[Leiter240] Ladder (Japan) - 240 cm - 580,- EUR[Leiter270] Ladder (Japan) - 270 cm - 620,- EUR[Leiter300] Ladder (Japan) - 300 cm - 650,- EUR[Leiter330] Ladder (Japan) - 330 cm - 680,- EUR[Leiter360] Ladder (Japan) - 360 cm - 710,- EUR[Leiter390] Ladder (Japan) - 390 cm - 780,- EUR[Leiter450] Ladder (Japan) - 450 cm - 1.280,- EUR - SOLD OUT ! This special ladder to trim bonsai from Japan is characterized by a number of innovative details. It is extremely light (from 4.g k), made of aluminum, and bears up to 100 kg.